It’s not easy being a woman, and its especially not easy being a mother. With Mother’s Day rapidly approaching, it is important to think of the best ways to relax that have lasting positive effects. Sometimes, a simple pampering is all a woman needs to rejuvenate her energy, appearance, and to kick start a more positive outlook. To follow is a discussion of the benefits of facial spa treatments. 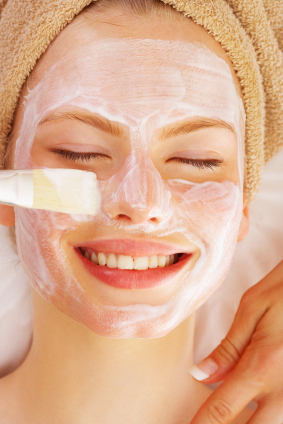 Facials are a relatively affordable and add a fresh healthy glow to your look that also has many health benefits. Take a load off and relax. Most people who undergo a facial spa treatment report feeling relaxed afterwards. Taking time away from the stresses of every day life is very important to do for your own mental health. While Veni, our aesthetician, is administering your facial it is a great time to completely let your mind wander, turn off your cell phone, and just completely let your mind be free of your daily duties as a mother. Facials remove dead skin cells which gives the skin a rejuvenated, youthful appearance and glow. Facials boost new skin cell growth and make skin feel firmer and tighter (temporarily, but extremely less invasive than a surgical procedure). Facial massage can help fight off the common cold! If you’re feeling worn out or think you feel a cold coming on, a facial can help kick out the infection and remove toxins from the body. Facials (except for clarifying acne facials) almost always include lymphatic massage which aids the lymph nodes in draining toxins. Facials generally take up to or less than an hour. This is an added plus for Mom’s with busy schedules. Remember to seek out a board certified aesthetician before making an appointment for a facial. Facials have relatively few drawbacks, but an inexperienced aesthetician may cause injury to your skin during an extraction or peel. A formal skin examination should always be performed before the aesthetician begins the facial process. If there is any question, our aesthetician can always consult with Dr. Brunner prior to your skin treatment. There’s always a risk that you may have an allergic reaction to the products used during a facial. Be sure to inform your aesthetician of any known allergies prior to starting the treatment. There are many different types of facials, and each style of treatment can be uniquely tailored to best suit your needs. If you’re interested in a facial treatment and its benefits contact Dr. Brunner today. Our offices are located in Princeton, and you can reach us directly at (609) 921-9497. We look forward to hearing from you!